Experience both the breadth and depth of Australia’s fascinating flora—from curated public and private gardens, nurseries, and arboreta to untamed rainforests and bushland—during this immersive 15-day journey with Pacific Horticulture Society. You’ll get an insider’s look at some of the most iconic public gardens, including the Royal Botanic Gardens in Melbourne and Sydney and the City Botanic Garden in Brisbane; also enjoy more intimate visits to a selection of exceptional private gardens such as Stonefields, Lubra Bend, Alowyn Gardens, Wendy’s Secret Garden, and Tabu Gardens. Discover firsthand why Australia’s diverse and abundant flora is one of its most prized assets and how climate change is affecting the landscape. Along the way, go behind the scenes to meet the curators and directors, conservationists, scientists, garden designers, and other experts who are at the forefront of the country’s most exciting horticultural projects. Learn about dry climate and sustainable gardening from expert and proprietor David Glenn at Lambley Gardens & Nursery. See sustainable practices in action at Barangaroo, an innovative urban green space project that has set new benchmarks for environmental remediation and reuse of materials and water. Step into the immense biodiversity of the Daintree, believed to be the world’s oldest tropical rainforest and home to primitive flowering plants, cycads, ferns, and mosses. Observe the wildlife, culture, and flora of the Blue Mountains, a World Heritage-listed national park known for its dramatic scenery, and visit several stunning examples of cool-climate gardens. Connect with members of Australia’s indigenous population at Mossman Gorge to learn about their customs and ceremonies, their relationship with the natural environment, and traditional plant uses. Experience classic Australia with visits to the Sydney Opera House and Bondi Beach and snorkeling on the Great Barrier Reef. After a full breakfast at the hotel, receive a program orientation and then begin your series of garden visits. Lambley Gardens and Nursery is set around an old farmhouse within the Goldfields region of central Victoria. The garden features frost-hardy plants requiring very little watering and is world-renowned as a benchmark in dry climate and sustainable gardening. The ornamental gardens are spectacular. Instead of manipulating the environment to suit the plants, garden designer David Glenn has very carefully selected the plants to suit the climate. David is a leading expert on dry climate gardening in Australia and he will provide a talk on this subject during your visit. After a stop for lunch (at own expense) and some free time, continue on to Stonefields Garden. With its magnificent rural views, Stonefields has become one of the most iconic gardens in Australia. In designing the rural property, creator Paul Bangay has drawn heavily on the influence of his travels to Italy and France; the garden is characterized by precise clipped hedges, oak-lined driveways, symmetrical parterre plantings, carefully manicured lawns, and water features on what was previously a vacant paddock of nearly 50 acres. Tonight, try any of Melbourne's wonderful selection of restaurants for dinner. After breakfast transfer to Lubra Bend, a private garden in the Yarra Valley. The garden consists mainly of plants native to Australia and features three sculptures by renowned Australian artists. Lubra Bend retains a large, established garden of camellias, magnolias, and oaks planted by previous owner Margaret Stokes. Today, the property has a camellia grove, a Seville walk, an orchard, a vegetable garden, and a new dry garden by distinguished landscape designer Phillip Johnson, all set around a home designed by award-winning Victorian architect Guilford Bell. The catalyst for the dry garden came from the need to remove telephone and electricity cables from the property's trees and place them underground. Owner Rosemary Simpson turned necessity into opportunity; the money to be put into the deep excavation would also go toward landscaping. Phillip Johnson was commissioned in 2006 to create a rock and water garden for the dry, barren entrance paddock. Other highlights include gravel paths, brown granite boulders, drought-tolerant and Australian plants, such as banksia, acacia, melaleuca, and kangaroo paw. Between 2007 and 2009, Phillip was engaged to extend the waterfall's cascade into additional ponds and add a set of Aztec-style steps. Today the cascade runs 1,970 feet and features magnificent ponds that extend to the Yarra River. Next, depart Lubra Bend for your visit to Coombe Yarra Valley. With Spring in the air, what better time to view the seven acres of stunning gardens, landscaped over one hundred years ago. Once the home of world famous opera singer Dame Nellie Melba, Coombe Yarra Valley is a unique destination. Behind the one thousand nine hundred feet of cypress hedge lie a succession of terraced lawns, native, Italian and vegetable gardens, a croquet lawn, an old tennis court, a newly established rose arbor and the oldest swimming pool in Victoria - all against a historic, picturesque backdrop. Try any of Melbourne's wonderful selection of restaurants for dinner tonight, at own expense. After breakfast head to the Melbourne airport for your flight to Sydney. Upon arrival in Sydney, stop at the hotel to stow your luggage until check-in time. Then, with a boxed lunch in hand, transfer to King Street Wharf and board a Jacaranda cruise of the Sydney Harbour. This special cruise will be hosted by one of Australia's famous garden presenters, who will likely meet the group personally on board. The cruise travels from Sydney Harbour up the Lane Cove River, showcasing superb vistas along the expansive windows. Return to the hotel for check-in. This evening dine at P.J. O'Brien's Irish Pub. This morning cross the famous Sydney Harbour Bridge and embark on a walk through Wendy's Secret Garden at Lavender Bay. Wendy Whiteley (wife of the late Australian artist Brett Whiteley) and her gardeners have transformed this plot of land into a beautiful public garden. Afterward, visit the Barangaroo Reserve, Sydney's newest harbour foreshore park. The 14-acre park was transformed from a shipping container terminal into a sprawling green space and has set new benchmarks for environmental remediation and sustainable reuse of materials and water. Named after Barangaroo, an indigenous woman who was a powerful voice in the early days of colonial Sydney, the reserve is rich in Aboriginal and cultural history. This visit will include time with the Barangaroo Project's soil scientist and plant production expert. Then, walk from Barangaroo down through the historical Rocks District, past Circular Quay, to a nearby restaurant for a presentation by a researcher with the Climate Council. Continue on to the Sydney Opera House for an hour-long tour of this magnificent iconic building, recognized as a UNESCO World Heritage Site in 2007. Dine tonight at Nick's Seafood Restaurant overlooking Cockle Bay and Darling Harbour. This morning collect packed lunches from the hotel and depart Sydney for the Blue Mountains, traveling along the Bells Line of Road and arriving at the Blue Mountains Botanic Garden in Mount Tomah. The garden covers almost 70 acres on the summit of a basalt-capped peak. At 3,300 feet above sea level, you'll find cool climate plants from around the world. Meet a director or head curator on this visit. At this garden, plants are grouped by geographical origin, which is unusual for a botanic garden and allows visitors to spot the similarities and differences between plants of each region. It's like a "snapshot" of their evolution on different continents. From here, continue to Mount Wilson, where you'll visit two sites: a private garden famous for its cool-climate exotic gardens, and Windyridge, also a cool-climate garden that grows on the rich soils of an old volcanic plug. After lunch on site in Mount Wilson, travel to the town of Katoomba and visit the famous Three Sisters rock formation at Echo Point. Offering sweeping views over Megalong Valley, this is the Blue Mountains' most spectacular landmark. Settle in for the two-hour trip back to Sydney. Dine at any of Sydney's great restaurants tonight (at own expense). This morning go sightseeing through the trendy district of Oxford Street, then through elegant Paddington with its rows of beautiful terraced houses. Continue on to the Pacific Ocean, passing though the beachside suburbs of Bronte and Tamarama and on to the world-famous Bondi Beach. Take a stroll on the beach before traveling back toward Sydney, arriving at the Royal Botanic Garden Sydney, a 75-acre oasis in the heart of the city. 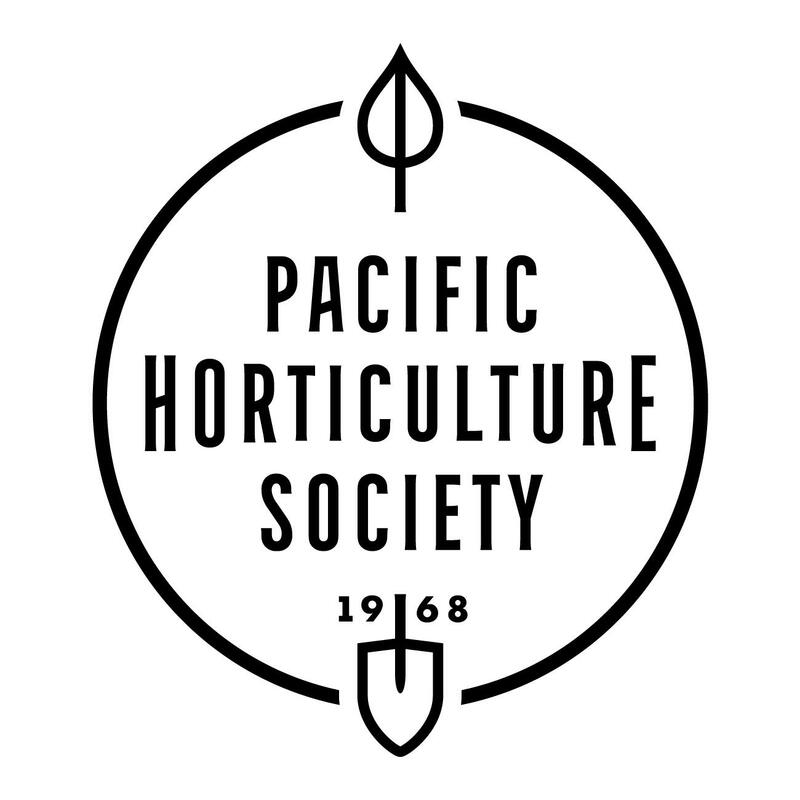 Established in 1816, the organization is the oldest scientific institution in the country and home to an outstanding collection of plants from Australia and overseas. Meet with the director and/or one of the curators and then have time to explore on your own or with your guide. While here, visit the National Herbarium of New South Wales (NSW), one of Australia's largest reference collections of botanical specimens. It is used to study the classification, ecology, and evolution of plants in NSW, Australia, and the Pacific. While at the National Herbarium, meet a director or head curator. As one of the most significant botanical resources in the Southern Hemisphere, the collections include over 20,000 type specimens (the specimens that give the name to new plant species); 25,000 Australian vascular plant species, including the 6,000 occurring in New South Wales; and representative specimens from other parts of the world. Lunch will be served in the garden's restaurant. After your time in the garden, make your way around the city, as the remainder of the afternoon and evening is at leisure to explore Sydney. After breakfast journey to the airport for your flight to Cairns in tropical north Queensland. Upon arrival, travel the few minutes to Tabu Gardens in the suburb of Freshwater. This lush garden sets the scene for the tropical section of your tour. Nestled at the foot of Mount Whitfield, Tabu is cleverly designed with mass plantings of beautiful foliage and flowers and benefits by having the rainforest as its backdrop. After lunch, board your private coach and travel along the Captain Cook Highway to your hotel. After check-in, you'll have time to relax and explore independently this afternoon. Enjoy dinner at the hotel restaurant. Today, take a short walk to Marlin Marina and embark on a cruise to the Great Barrier Reef, specifically the Agincourt Reef at the very outer edge. Here, special reefs known as "ribbons" run parallel to the continental shelf. Adjacent to the Coral Sea trench, these ribbon reefs are recognized as the most pristine ecosystems in the reef's environment. Clear water provides the best possible underwater visibility, encourages rich coral growth, and supports spectacular marine life. Choose to dive, snorkel, or stay dry and explore the stunning reef from the comfort of a semi-submersible just three feet underwater. Watch the fish feeding from the unique underwater viewing platform and underwater observatory or fly in a helicopter over the reef (additional cost). Have lunch on board. Later, return to your hotel. Dine this evening at any of the restaurants of Cairns (at own expense). An exciting story awaits this morning at Botanical Ark. Alan and Susie Carle have an ambitious goal: to save the rainforest. With a mix of creativity, practicality, and sheer hard work, they are growing 3,000 different species of rainforest plants, more than 400 of which are edible-making lunch here a treat. But first, tour the garden, crammed with unusual fruits and the stunning flowers of tropical heliconias, costus, and other treasures. From Botanical Ark, travel to Whyanbeel Arboretum. Formerly a sugar cane farm, this arboretum run by Peter Sargent is nestled in the hills of the Upper Daintree and houses a tropical botanic garden and flower farm where ferns, mosses, and native peppers grow along the shaded river bank. Exotic vanilla orchids grow among native vines that scramble up palms and trees. Return to the hotel later this afternoon. This morning travel to Mossman Gorge, part of the traditional lands of the Kuku Yalanji people. Located in the southern part of the World Heritage-listed Daintree National Park, Mossman Gorge is one of the few places in the country where visitors can gain insight into the lives, culture, and beliefs of Australia's indigenous population and their connection to the natural environment. Join a guided, 90-minute "dreamtime" walk to learn about the ancient flora and fauna of the rainforest, traditional plant uses, and Kuku Yalanji culture. You will be welcomed with a traditional "smoking" ceremony that cleanses and wards off bad spirits. The walk then meanders through stunning rainforest and takes in traditional huts, or "humpies." Your interpretive guide will demonstrate traditional plant use, identify bush food sources, and provide an enchanting narrative of the rainforest. Your guide will also demonstrate traditions like making bush soaps and ochre painting. At the end of the tour, enjoy traditional bush tea and damper, a traditional Australian soda bread. This afternoon, tour a private garden in Port Douglas and visit the nursery and garden of local horticulturist and landscaper John Sullivan. After breakfast this morning, travel to the airport for your flight to Brisbane. Upon arrival, transfer to your hotel, located opposite the World Heritage-listed City Botanic Garden. The garden features a bamboo grove, Weeping Fig Avenue, ornamental ponds, and more. You will have free time this afternoon to stroll through the garden or to explore Brisbane on your own. This evening, enjoy a farewell dinner in the hotel's Walnut Restaurant. Cost is based on a minimum of 18 participants in double occupancy. Program may incur unforeseen fuel surcharges. U.S. and Canadian citizens must have a valid passport to enter Australia. A visa is re­quired for entry into Australia. Most U.S. passport holders can obtain an Electronic Travel Authority (ETC) for a service fee. For more details, visit www.eta.immi.gov.au/ETAS3/etas/. If you are not traveling with a U.S. passport, please check with the Australian Embassy for the requirements based on your nationality. There are no vaccinations required for entry into Australia. In addition to your toiletries, it is useful to pack a small medical kit. Helpful items include bandages, mosquito repellent, antihistamine, a pain-reliever, individually wrapped moist towlettes, anti-diarrhea medicine, anti-fungal cream, a small sewing kit, and an extra pair of disposable contact lenses or eyeglasses if you wear them. We suggest packing essential items such as eyewear, medications, and even a change of clothing in your carry-on baggage in case your luggage is delayed. Contact Sandy Schmidt at 877-907-5360 or email Sandy.